This is the final part of a six-part series on five factors that make families absolutely amazing. We all want to have families that are strong, healthy, and happy. In this post, we will look at the Social and Emotional Competence of Children factor. As we mentioned in the first post, a great thing about these factors is that they apply to all families. No matter how strong or struggling, when these factors are woven into the life of a family, the family continues to become healthier, happier, and stronger. These factors have been named the Strengthening Families Protective Factors (SFPF). Links to the previous posts can be found at the bottom of the page. In this post, we look a little more closely at Social and Emotional Competence of Children. We will explore what it is and why it is important. We will also share some resources to begin building this into our lives. Our last Strengthening Families Protective Factor is Social and Emotional Competence of Children. In some ways, the goal of all the other factors is to strengthen this one because children thrive when they are socially and emotionally competent. Social and emotional competence looks different for a three-year-old than a thirty-year-old. Yet overall social competence is about the ability to form and maintain healthy relationships. It is about how we interact with others. Emotional competence is about an individual’s ability to experience and regulate their emotions in a healthy way. These two are connected. Our emotions impact our relationships and our relationships impact our emotions. The more a child is socially and emotionally competent the more capable they are of handling life challenges. Thus it is no surprise that there is a large body of research showing strong connections between thriving and high levels of this factor. 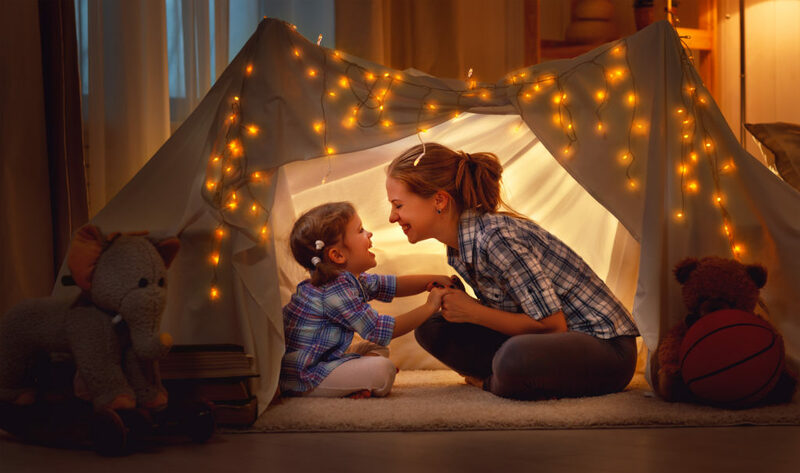 As parents, incorporating the other protective factors into the life of our family will raise the level of social and emotional competence for our children. When we become more resilient, so do they. They learn to handle difficulties as well as the emotions that come with them. When we develop social connections they get more experiences in building relationships. As a result, they develop greater social competence. They learn to access resources to overcome challenges when they see us do so. And, the more skilled we become as parents, the more we directly help our children become socially and emotionally competent. Also, as we learn about child development we learn what skills they need to be gaining at their age and are better able to guide them. As parents, we can help our children thrive by helping them become increasingly competent socially and emotionally. Reading to or with our kids can help with this as can games like the what if game. In the “what if” game we give a situation, ask them how they would feel and what they would do in the situation. There is plenty more to say about social and emotional competence. As we’ve mentioned in previous posts, we would love to come and teach more about any and/or all of the Strengthening Families Protective Factors. Also, if you would like more information on social and emotional competence in children you can click here. As you look to incorporate these into the life of your family, we hope you will consider contacting us and gaining the benefits of our programs. We would love to partner with you to make your family healthier, happier, and stronger. For the fifth post, about Knowledge of Parenting and Child Development, click here.